The modern day family often considers their family pet to be a loved and cherished member of their family. Our canine and feline companions are affectionately known as our “Furkids”,or referred to as “Our GIRL OR BOY”. The terms – Mom, Mommie, Dad, Daddy are no longer limited to human children. Companionship for many people adult or child, now includes our pets, and has proven to be therapeutic and beneficial. Being a Registered pet therapy team with my dog myself, I can honestly say many look forward to our visits at a shut-in senior facility, and it gives a person an opportunity of expressing their love, tenderness, and affection. In some households, dogs or cats have replaced human children, and are considered family members for a variety of reasons, or are accepted and cared for like an additional child. Some households include “empty nesters” i.e. parents with human children who have moved out of their parental home, gone to college, and/or got married, and pets often provide quality companionship. Good company, also means filling the void of loneliness. Some pets have dietary needs due to medical conditions and require specific foods, and others might be challenged physically and have disabilities, similar to special needs children. i.e. kidney, or heart issues, diabetes, hearing or eyesight concerns, food allergies, skin sensitivities, thyroid Changes, etc. 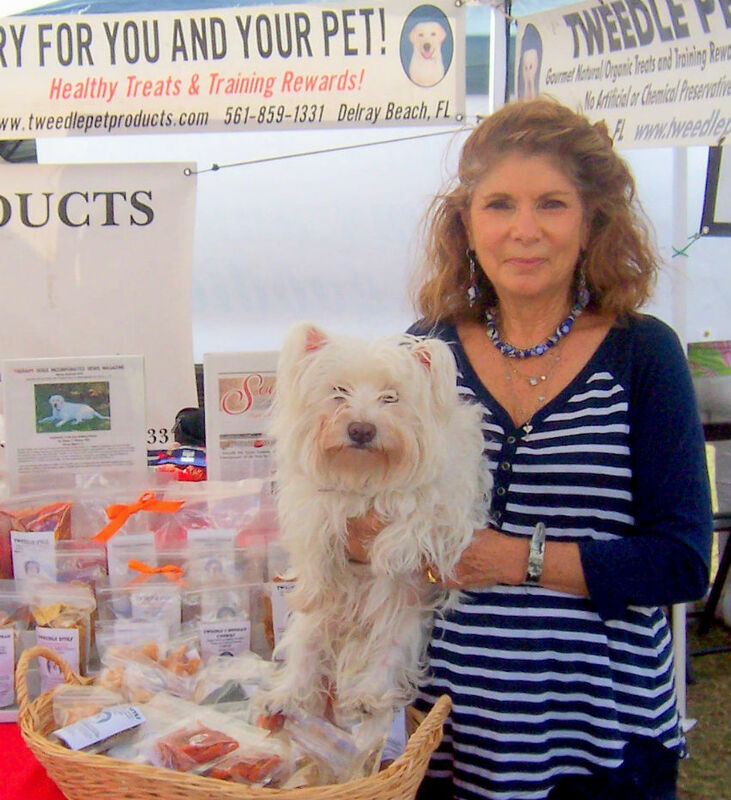 While strolling through the Delray Beach Green market the other day, I noticed several pups and adult dogs nestled in a “Doggie carriage”. When I was growing up, “baby carriages” carried human babies, not canine babies, but not any more! My thoughts are, why not! 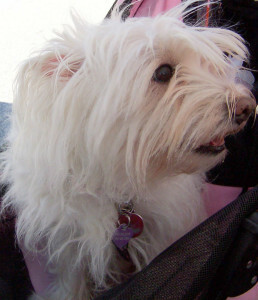 It makes perfect sense to carry your small or medium size pooch in a “doggie carriage” preventing burned paws or doggie feet, from hot South Florida asphalt sidewalks. Pet parents interested in sharing their day’s activities with their canine friends, might own a pooch with a medical condition who cannot tolerate too much exercise. Therefore, a “doggie carriage” makes good sense for a convenient shared activity between a pet parent and their pooch. 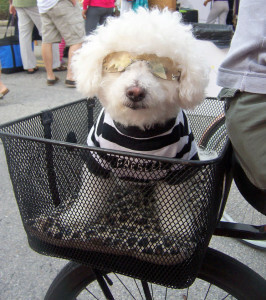 “Furkids” accompany their pet parents during outdoor outings, all for the sake of true love and good company.I have to laugh when I see pooches wearing sunglasses, sun visors, dresses, polo shirts, neckties, and bows in doggie hair. What we won’t do to love, adore, and protect our canine friends. In some cases, pet owners have lost their dogs, due to old age or unfortunate accidents, and their loss and grief is almost identical to the loss of a human. Experiencing Grief and sorrow over the loss of a loved one is the same whether it be the loss of a person or a pet. Parents who faithfully cared for their human children, are able to care for their canine companions, with a similar if not the same type of love and devotion expressed towards their beloved pets. 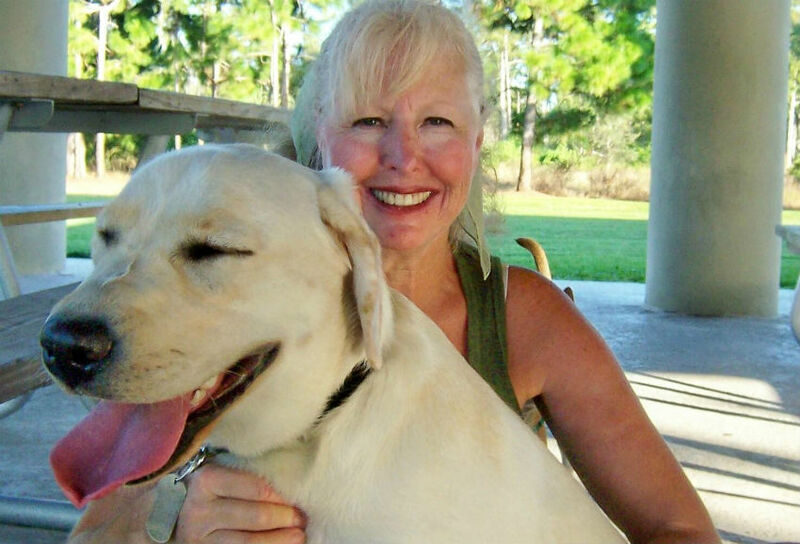 I can honestly say, I love my dog Miss Tweedle, My Yellow Labrador Retriever, and she is considered “my best girl”and the inspiration for Tweedle Pet Products Natural and Organic! Stacey, you made a very good point about the summer’s hot pavements and our pets paws. 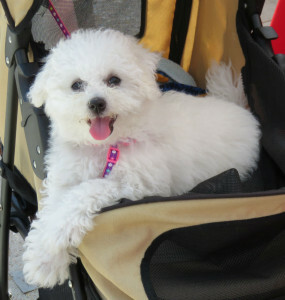 Having the stroller will protect our pets when it’s very hot and we are going to be out for a long time. Thanks for all your input. Love this article! !Great information. .
I’m pleased to know you enjoyed this article. Watch for it. Always happy to hear your comments. Thank you for your comment about your appreciation of my article. I cringe whenever I hear someone say “It’s just a dog”. No. It’s not. They are our companions, friends, and family. I’m not even sure that we fully understand the bond that we create with our dogs. They enrich our lives and they are the only ones that don’t sass us. Lovely written article stating some very truthful facts. People react to losing a pet the same way they react to losing a family member or friend. Glad to see respect given to what some people consider “crazy” reactions to grieving humans after losing their pet, “child” or family member. There is no doubt that our pets quickly become part of the family. We had our dog Gizmo for 18 years, and when we lost him we were devastated. There becomes a true bond between humans and pets. Thanks for a very informative article, and welcome to Jaquo. Bonding with a pet is similar to bonding with a child. Loss is loss, and the feelings are the same. we will hear them speak to us.